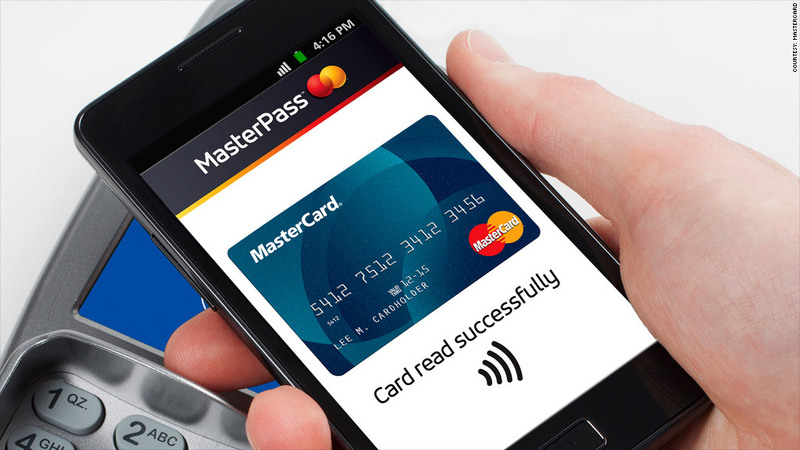 MasterCard unveiled its new MasterPass digital wallet platform at this week's Mobile World Congress. You'll never have to wait in line again, security will be baked into your credit card, and signing for purchases will become a thing of the past. Those are the big promises of mobile wallet technology being made by credit card companies, wireless carriers and smartphone makers. All of those very interested parties are making their pie-in-the-sky fantasies into a reality. Today, it is possible to fill your bus pass while you wait: just scan a bar code with your phone and head straight past the ticket collector when you board. At a store, you can tap an item you'd like to buy with your phone and walk right out the door with it. You can instantly buy something online just by pointing your phone's camera at the screen. But mobile payments still aren't here in any meaningful way. In-store purchases made with a smartphone will total just $640 million in 2013, eMarketer estimates. The reasons for slow adoption of digital wallets are numerous: The technology is costly, there are many players with competing platforms and applications, and rival payment methods are simultaneously vying for acceptance. The retail problem: Stores currently rely upon a system of millions of point-of-sale terminals connected to back-office systems that largely aren't compatible with mobile payment technologies. Retailers might need to pay thousands or millions of dollars to upgrade their systems. "The big question is, who's going to pay for all this?" said Dan Hays, principal in PricewaterhouseCooper's communications and technology practice. "Implementation costs are a big impediment." Credit card companies are working to convince retailers that accepting mobile payments will be worth their while. They note that there's a historical precedent: sales grew when stores began to accept plastic, and they rose again when they started allowing purchases to be made online. As customers increasingly use Amazon (AMZN) for purchases they would have otherwise made in a brick-and-mortar shop, retailers are in great need for innovative point-of-sale solutions. "The merchant does need to do some work," said Ed Olebe, head of MasterCard's MasterPass Services group. "In this economy, there needs to be a differentiated shopping experience, and retailers don't want to turn someone away because they don't accept digital payments." The platform problem: There are many different digital wallet solutions, and few are interoperable and compatible with one another. Both MasterCard (MA) and Visa (V) unveiled their own mobile payment platforms this week at Mobile World Congress in Barcelona. They vary slightly, but they have a similar aim: both MasterCard's MasterPass and Visa's V.me try to rev up mobile payments by allowing digital wallet apps and customers to store multiple cards from different providers. Want your American Express (AXP), Discover (DFS) and Starbucks (SBUX) card in the same wallet? You can do that with either MasterPass or V.me. "Our goal is to replicate the physical wallet in the digital world," said Bill Gajda, Visa's head of mobile. But, at least for awhile, customers will need to keep their physical wallets on them. In addition to Visa and MasterCard's platforms, the four major U.S. carriers have banded together to create a mobile wallet system, as have Wal-Mart (WMT) and a number of retailers. Participating stores might not accept both platforms right off the bat, due to the implementation costs, and various wallet apps such as Google Wallet likely won''t be compatible with every platform or payment system. "All this fragmentation is just replicating the need to carry around a wallet of so many cards," said Hays. 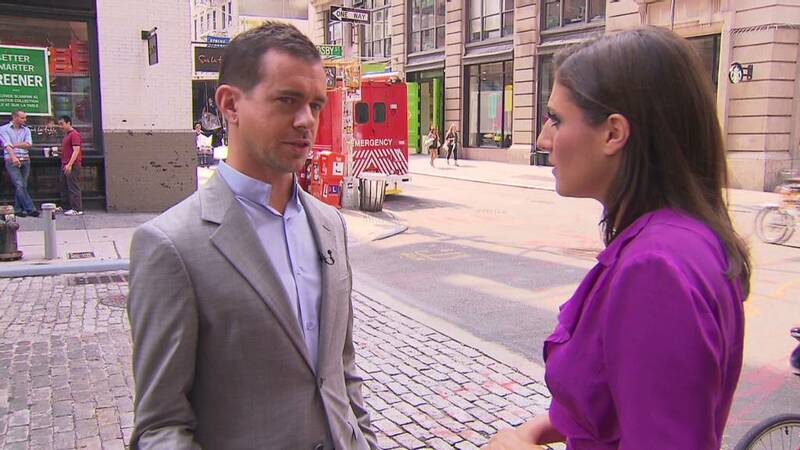 "For there to be a great value proposition, all of this will have to come together." The technology problem: There are many ways to make mobile payments, including bar-code scanning, "near field communication" (NFC) technology, and in-app purchases. Each has its pros and cons, and no clear winner has emerged. Apple (AAPL), for instance, hasn't implemented NFC in its iPhones, and popular mobile payments company Square is making some headway with its magnetic stripe and app-based purchase technology. Do retailers really want to put NFC terminals in place if it turns out to be the Betamax to app-based purchases' VHS? That could end up being a very expensive mistake. Meanwhile, without clearing those obstacles, it is currently no more convenient for a consumer to pay by digital wallet than actual wallet. It's just a matter of choosing between paying with something held in your front pocket or your back pocket.